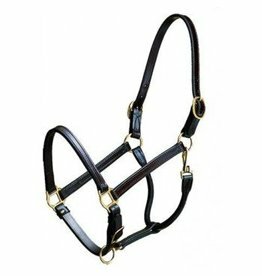 This is the Weaver Leather Original Non-Adjustable Halter you've come to know and love. This will be your go-to halter. 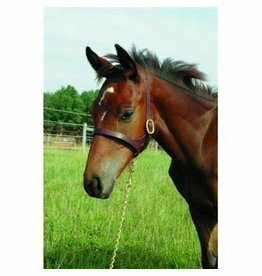 A well made halter made specifically for your weanling! 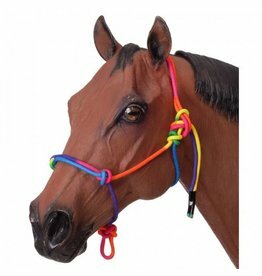 Mustang Economy Mountain Rope Halter and Lead is our top selling halter and lead combination. 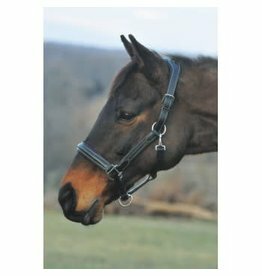 Add some bling to your groundwork with this fun and functional halter! 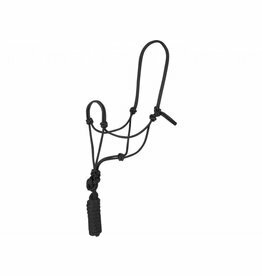 Best selling poly nylon rope halters are fully adjustable and designed to fit snugly. 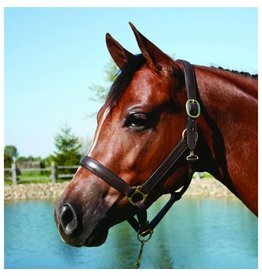 The bold and unique double raised style lends interest to this classically designed halter making it a perfect choice for show or stable use. 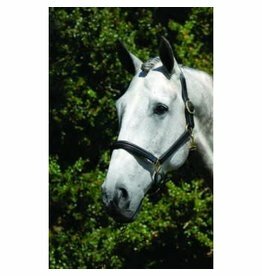 This blingy halter will help any horse stand out in a crowd. 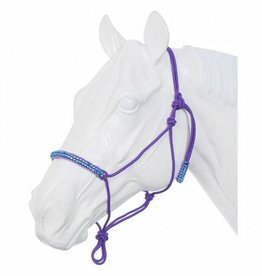 A must-have for those who have gotta have that bling! 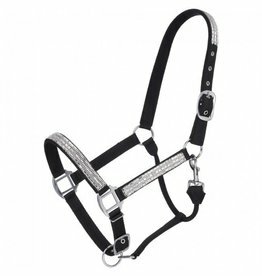 Supple leather halter features soft padding, double buckle crown piece, adjustable chin and snap at throat. 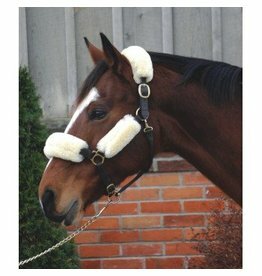 Comfortable for your horse, and your wallet! 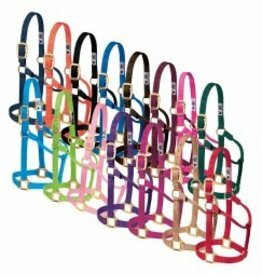 Designed and made in Canada, Acadia halters are made of the highest quality leathers and craftmanship. 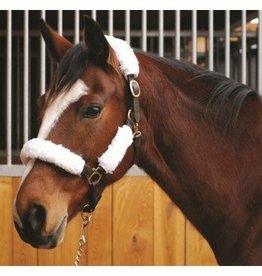 This genuine lambskin halter set adds cushion and comfort to your horse's halter.